There really isn’t anything better than brisket. It is also one of the more difficult meats to bbq and our most requested recipe people want help with. In the video below we will teach you how to cook using some very simple steps. There are hundreds of ways to cook a brisket, once you have the basics down you can experiment with all sorts of flavors to suit your own tastes. If you have any questions about this recipe please leave them below in the comments. Remember have fun with BBQ and Enjoy. There are many variables that determine how long a brisket will take. Ambient temperture, amount of fat in a brisket, temperture just to name a few. Cooking according to the recipe you will be looking at 14-16 hours, but with a brisket you never really know. Your best bet is to start earlier than you think and have a dry cooler ready. If your brisket gets done early wrap in clean foil and place in a dry cooler with dish towels to hold for up to 4 hours. It’s all about the feel of the meat for doneness, Time and temp are always just a guess. Give yourself plenty of time and have a dry cooler on hand to keep the meat warm. 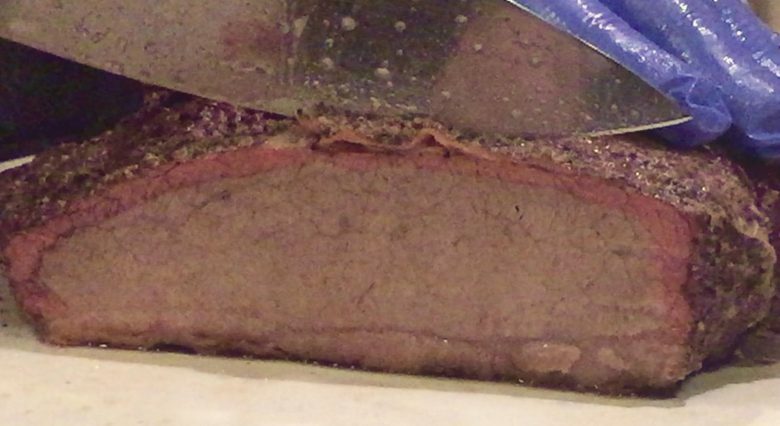 This trick will keep the brisket warm for up to 6 hours.